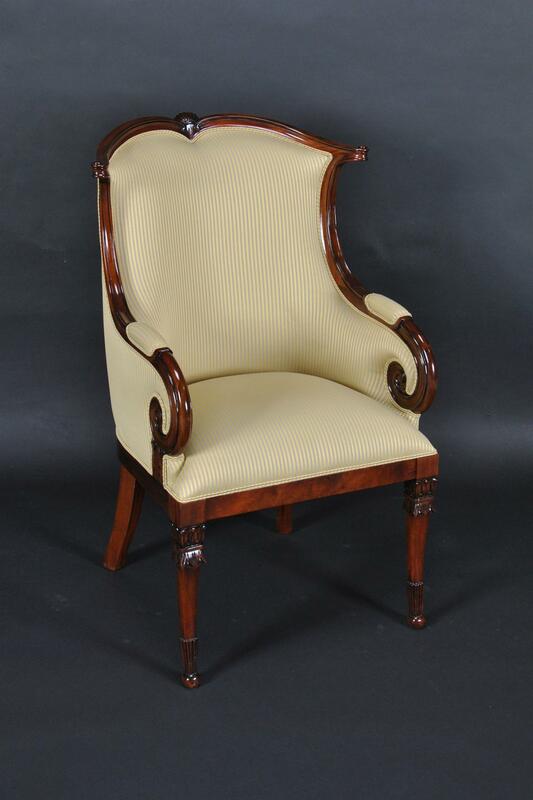 Description: The chair shown above is accented with gold leaf. 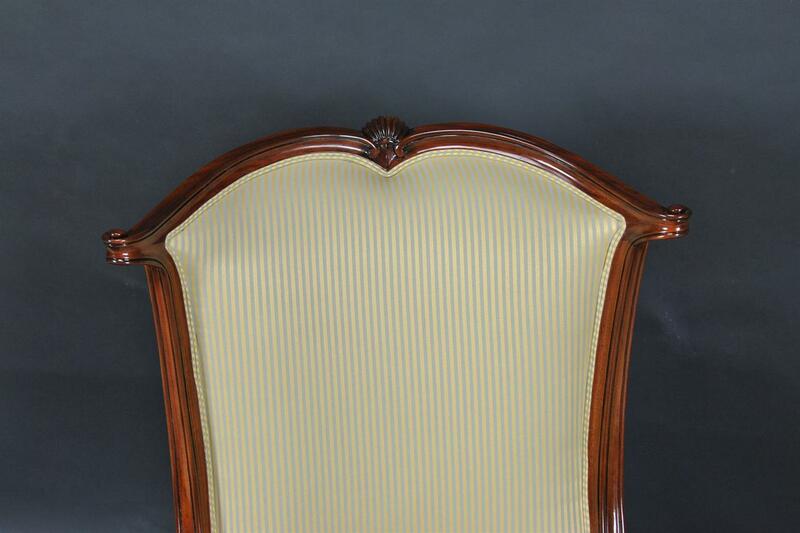 The true chairs will not have gold leaf unless you check out with gold when adding to cart. 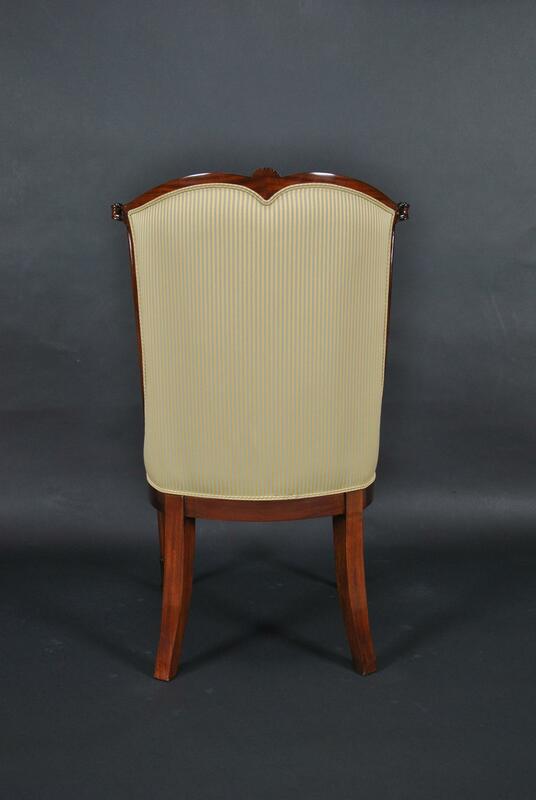 Modeled after our popular fireside chair, this dining room chair has been updated to work much better at the heads of dining tables. 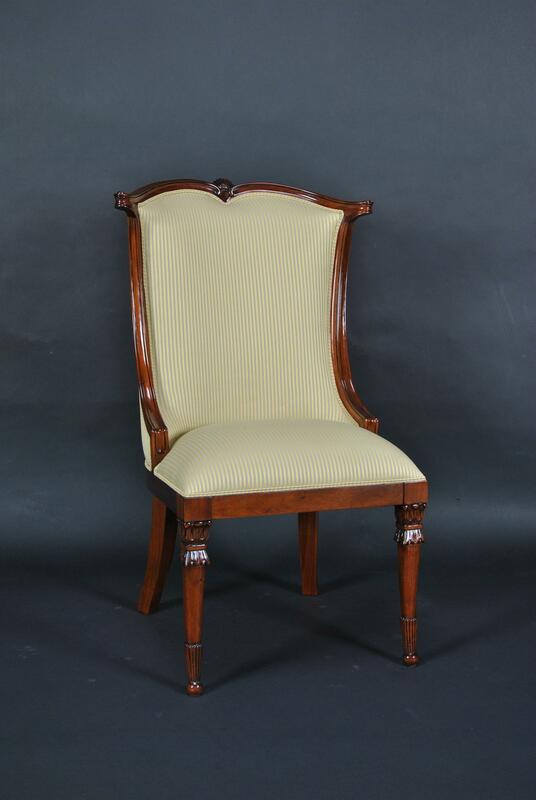 The seats have been slightly raised and the arms slightly lowered to what a typical dining room arm chair would be. 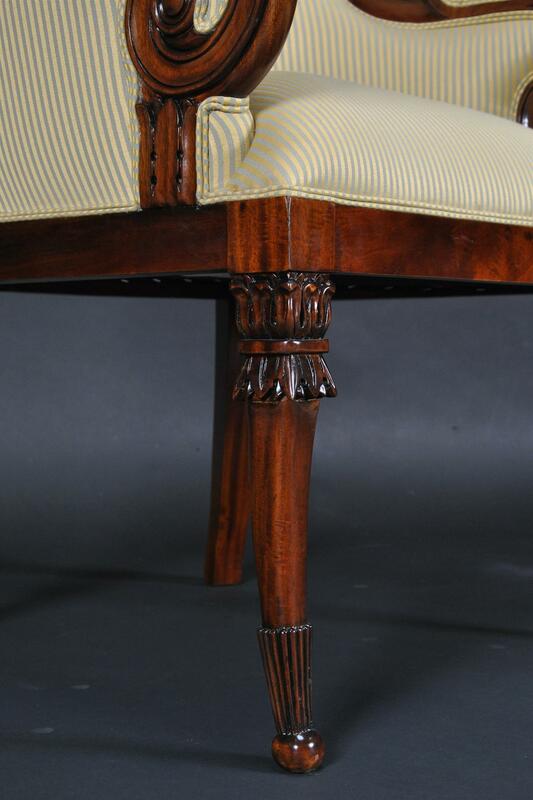 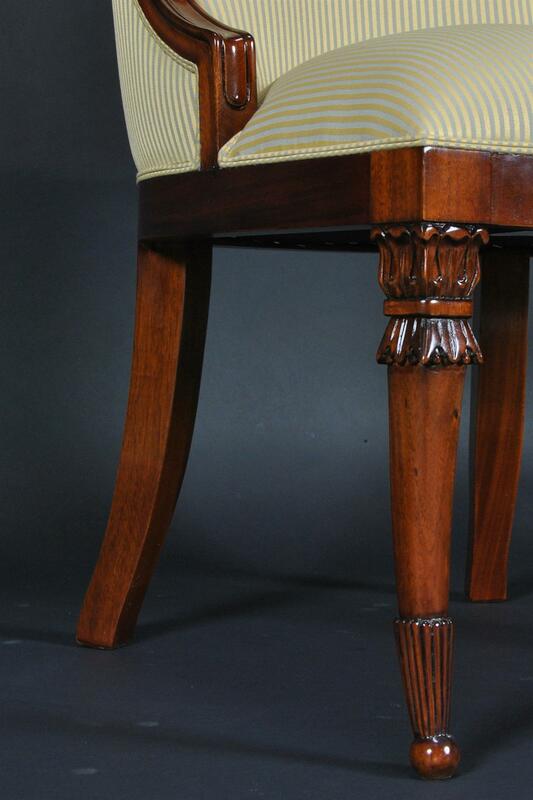 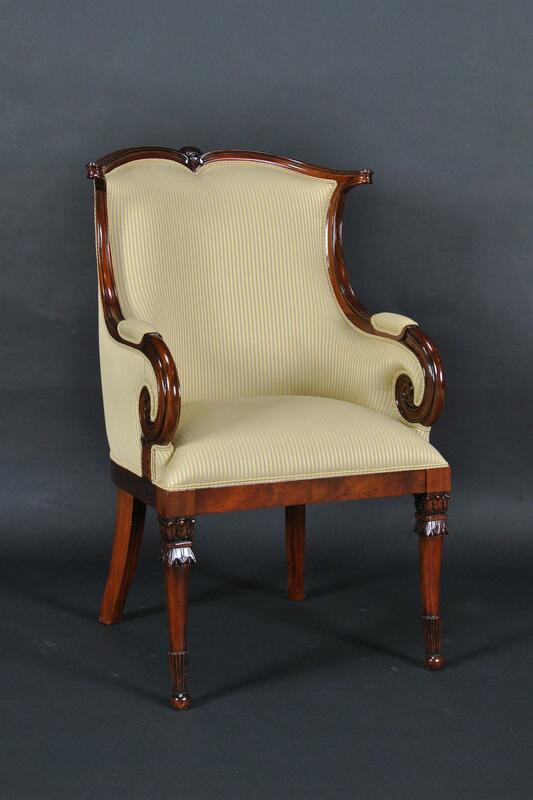 American style solid mahogany frame with springs and webbed upholstery. 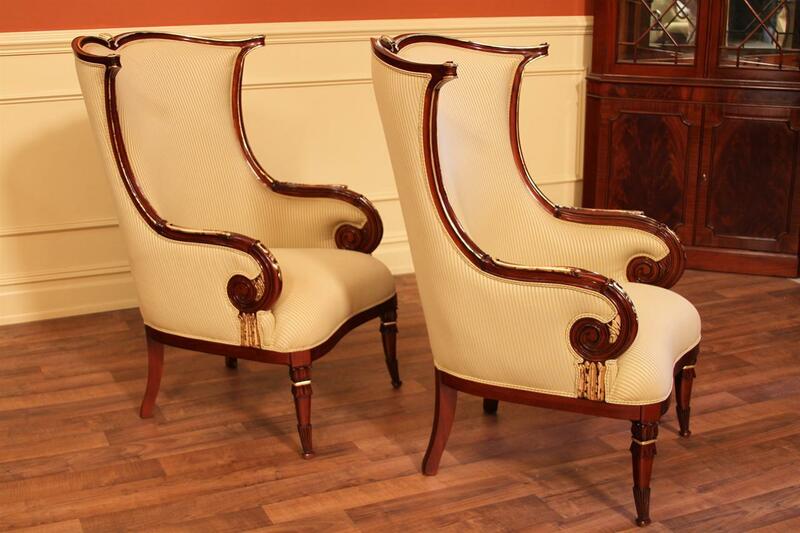 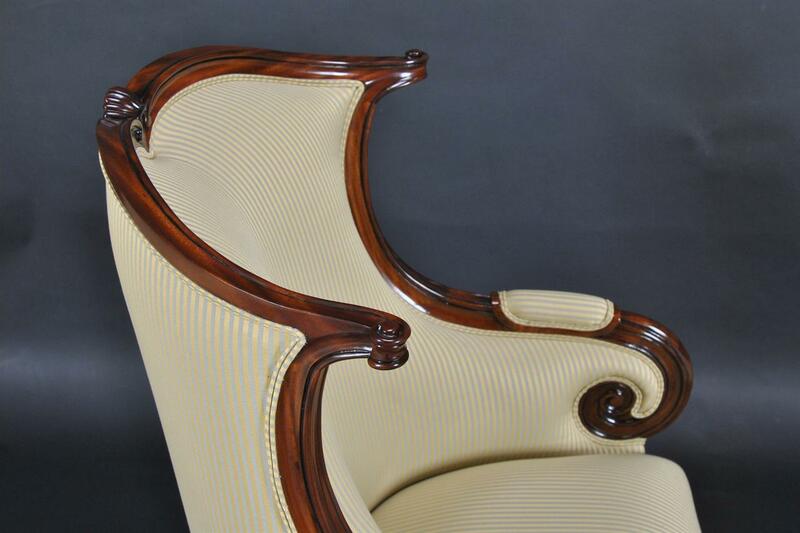 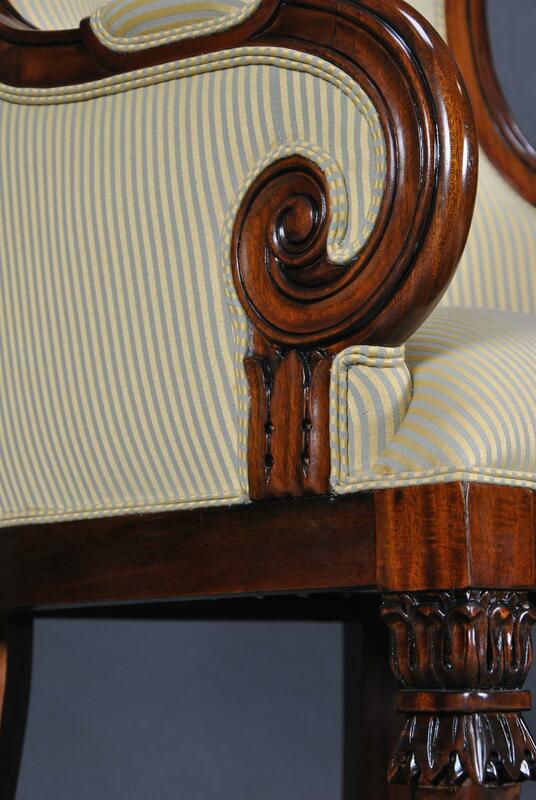 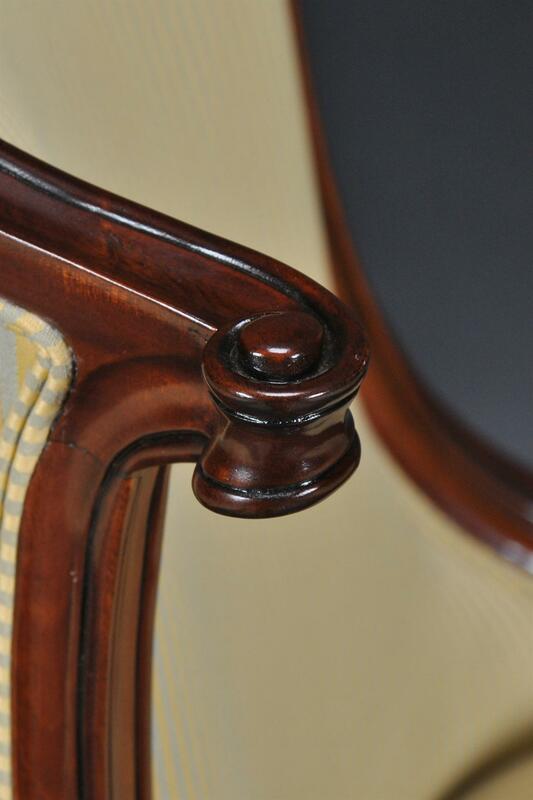 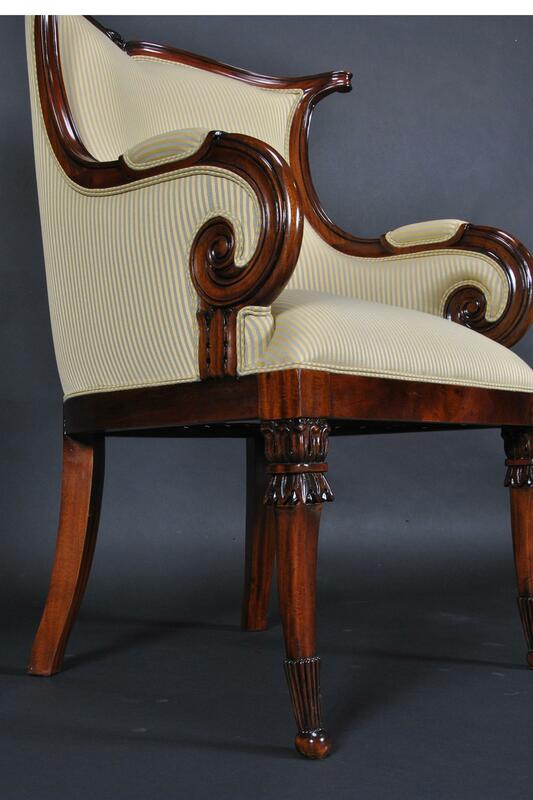 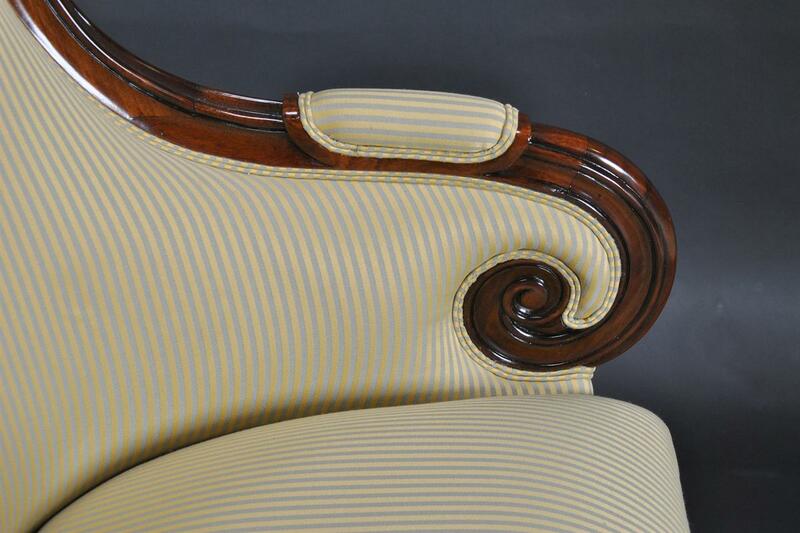 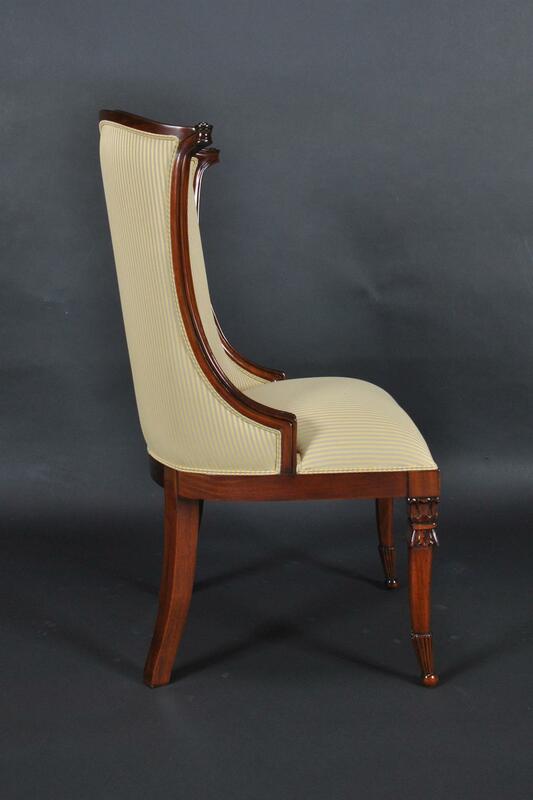 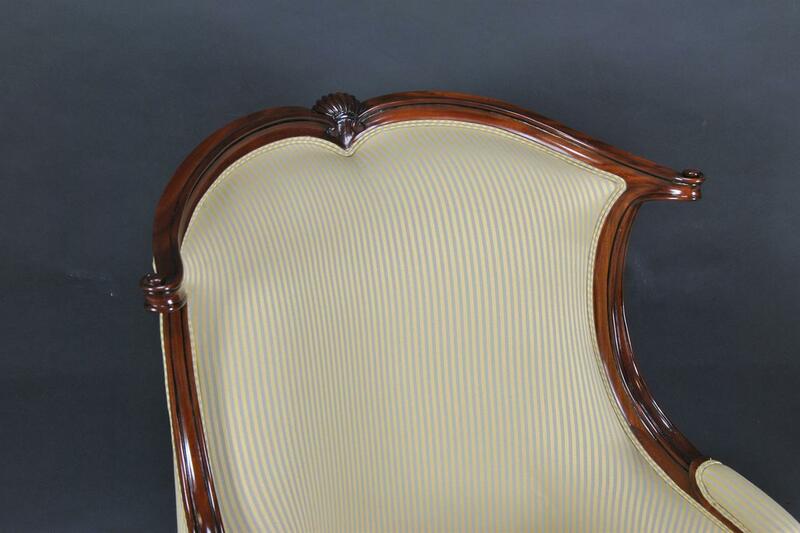 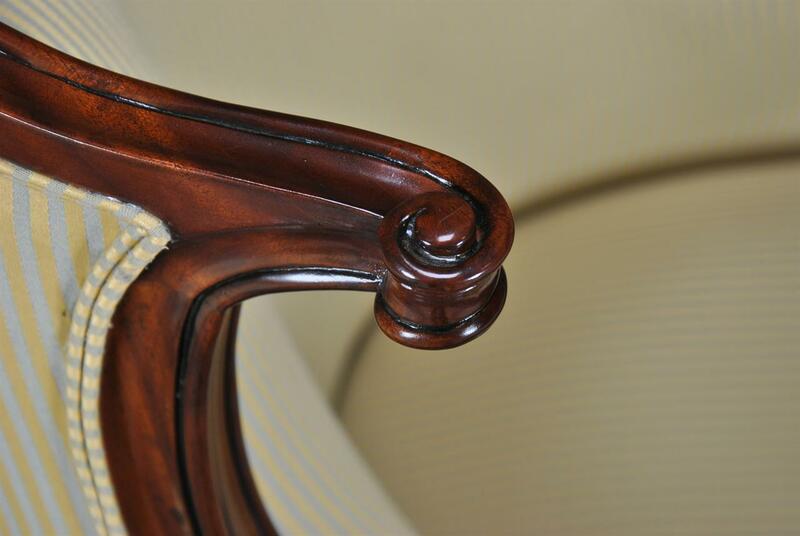 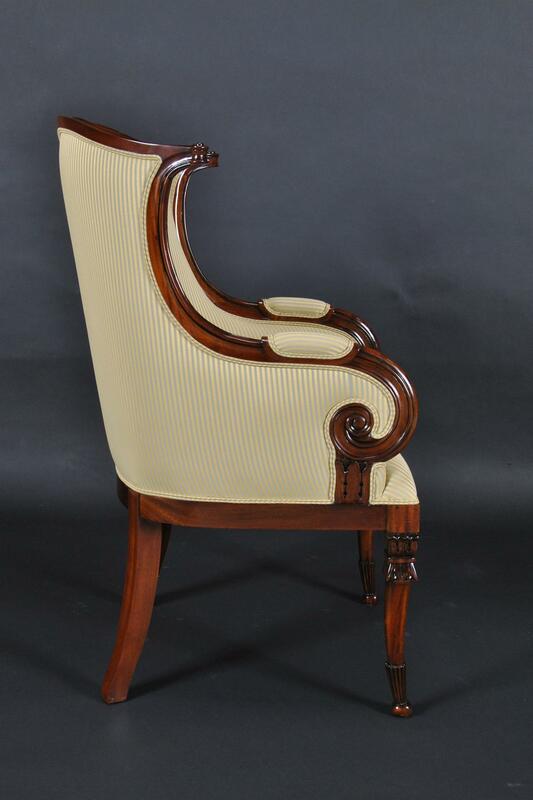 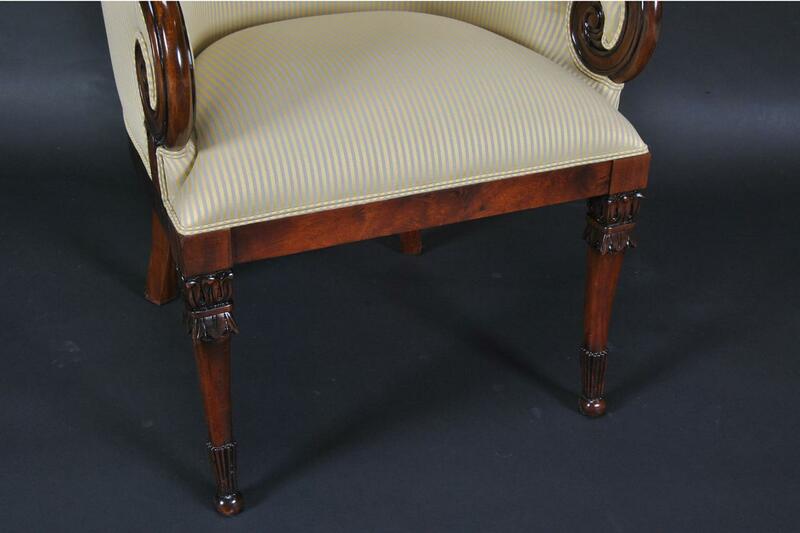 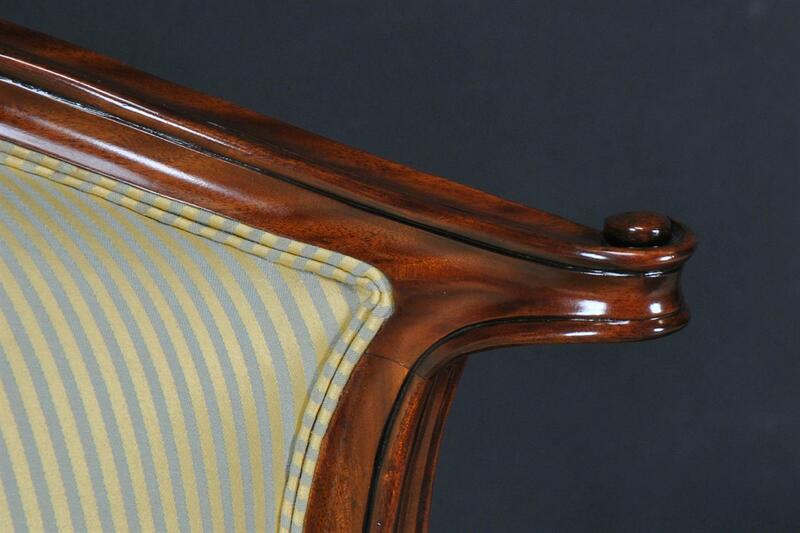 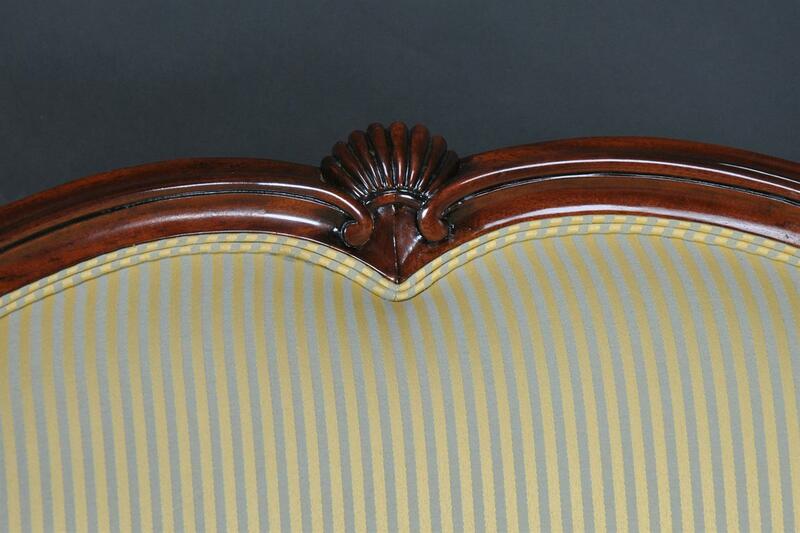 These luxury chairs work with other upholstered back chairs or any number of our hand carved mahogany backs.